The Motley Fool Canada » Investing » 2 Stocks to Sell Before the Bear Emerges From His Cave! 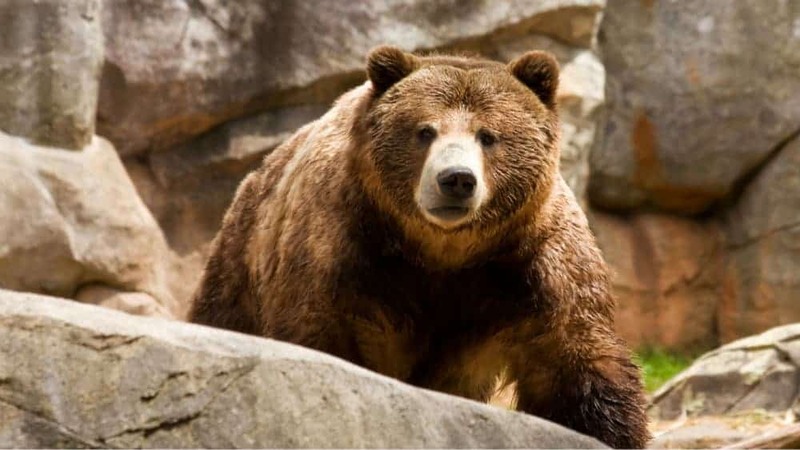 2 Stocks to Sell Before the Bear Emerges From His Cave! As the bear begins to rear its ugly head after a decade in hibernation, investors need to have a strategy to deal with the pain which may lie ahead. I think the bull market as we know it will die, but take my thoughts with a fine grain of salt because nobody really knows where the heck the market is headed next — not the most seasoned of economists nor the most successful of billionaire hedge fund managers. So, stop giving merit to “shallow” market forecasts on TV because as I’m sure you’ve noticed, they contradict one another! So, instead of wasting your time digging for some random pundit’s market projections, start preparing your portfolio so that it can handle the damage that may (or may not) be up ahead. The volatility we’ve witnessed over the past two months has been disgusting. The October and November sell-off has been a one-two punch to the gut of my portfolio, and I have to admit, it’s been quite painful, but while I’m down, but not out, and the same can be said for you and your portfolio if you’ve yet to hit the panic button in these most turbulent of times. If you’re scrambling because of your losses or if you’re thinking about selling now and asking questions later, you may want to consider balancing your portfolio, rather than making drastic moves that you may end up regretting over the near to medium-term should your bullish/bearish outlook be incorrect. That means adopting a more “all-weather” approach and reducing your overweight exposure to cyclical names to equal or underweight. Cyclical names will amplify your returns in an upmarket, but at this stage in the market cycle, I believe there’s no need to be greedy and that your amplified upmarket returns will come at the cost of a greater amount of risk you’ll end up taking on, thus reducing your portfolio’s Sharpe ratio, a popular performance metric used for gauging a portfolio’s risk-adjusted return. The Canadian auto part maker seems like a steal right now at 7.5 times trailing earnings, and while we’re a long way from the “death of car ownership” due to the rise of ridesharing and autonomous vehicles, the fact remains that Magna is a cyclical company on steroids that’s highly sensitive to the market cycle. If the Fed does push us into a recession, Magna will be one of the first stocks to plunge farther and faster than most other securities. Moreover, auto sales are slow to recover from the depths of a recession, so investors caught hanging onto the auto part makers can expect a very slow recovery such that pre-crash levels will not be re-reached for at least five years. I don’t know about you, but such a cyclical name is just too risky given the imminent economic slowdown and a potential recession which may ensue. As such, you may want to revisit Magna after its shares have fallen further into the abyss. Sun Life is one of Canada’s top life insurers, and while life insurance may be crucial depending on one’s unique circumstances, life insurance is typically a tough sell when times are tough. Just have a look at what happened to Canada’s top life insurers during the financial crisis! It didn’t go well, and to this date, Sun Life has yet to break through its pre-recession all-time high. Moreover, a considerable amount of life insurance policies are purchased as a part of a large organization’s benefit plans for its employees. For millennials, who are more likely than the Baby Boomer or Gen X cohorts to have promiscuous employment, that life insurance benefit isn’t included, and it’s these millennials who, as you’d imagine, wouldn’t ever think of buying life insurance because most of them are not having families, at least until much later. Even if they did have families, life insurance isn’t exactly everybody’s cup of tea, even though they may need it “if they care about their families” as a life insurance salesmen may put it. So, with the rise of the millennial generation, and given the potential downside come the next recession, I’d be a seller of Sun Life. Moreover, the 4.14% isn’t as rich as many other Canadian insurers, so with that in mind, you may want to throw in the towel on the name in spite of the tailwind of rising interest rates.